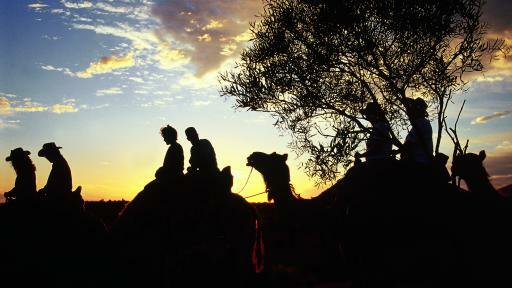 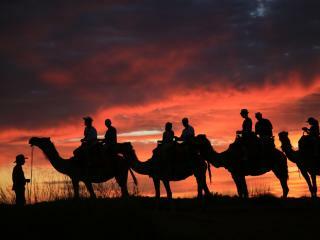 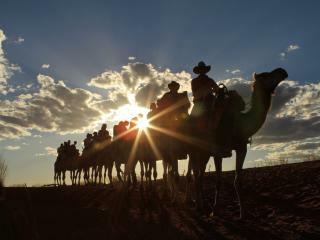 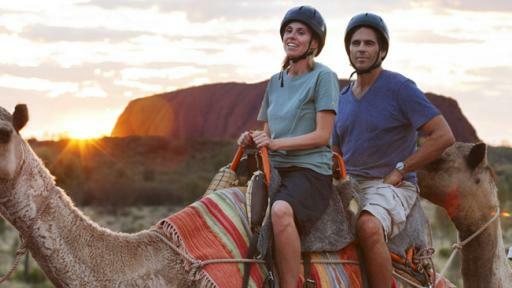 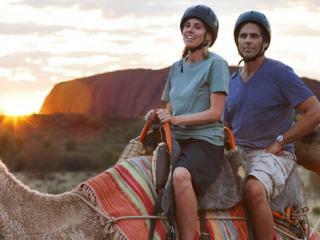 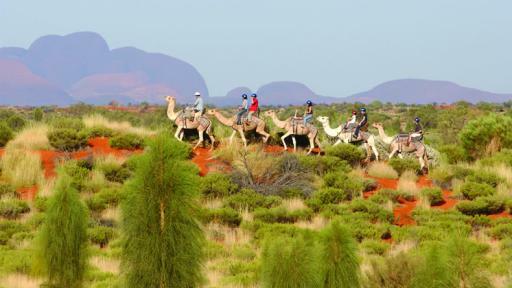 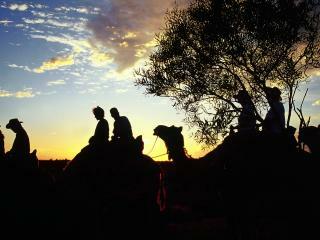 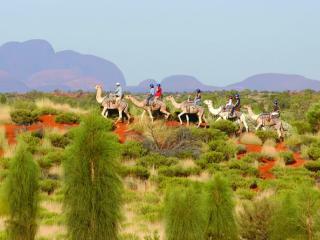 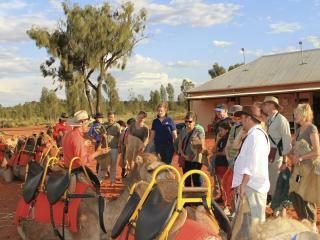 Experience the unique sensation of exploring Central Australia's iconic desert on the back of a camel with Uluru Camel Tours. 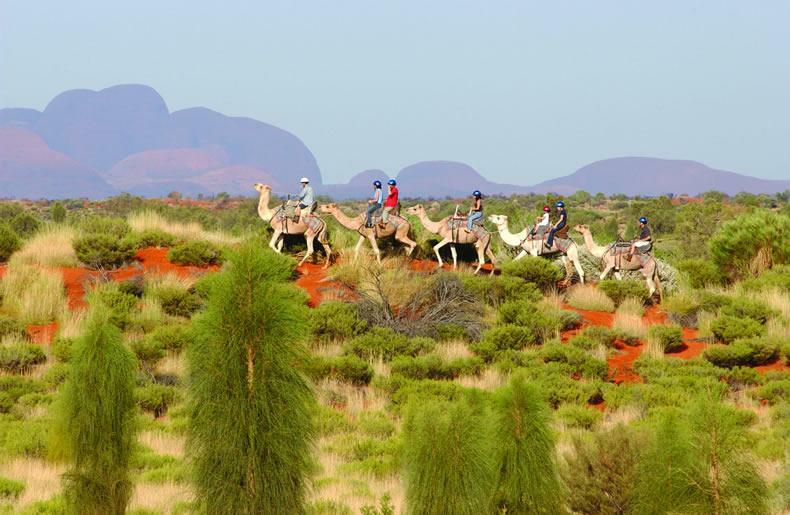 An experienced guide takes you through amazing views of Ayers Rock as well as the fascinating flora and fauna of the desert and as the sun sets, shares stories about this remarkable part of the world. 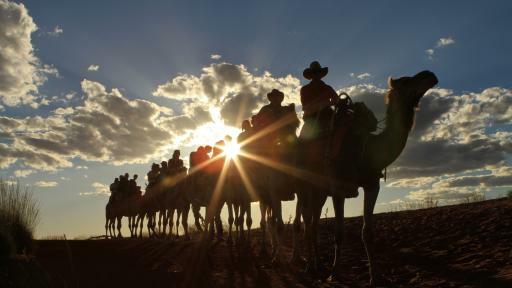 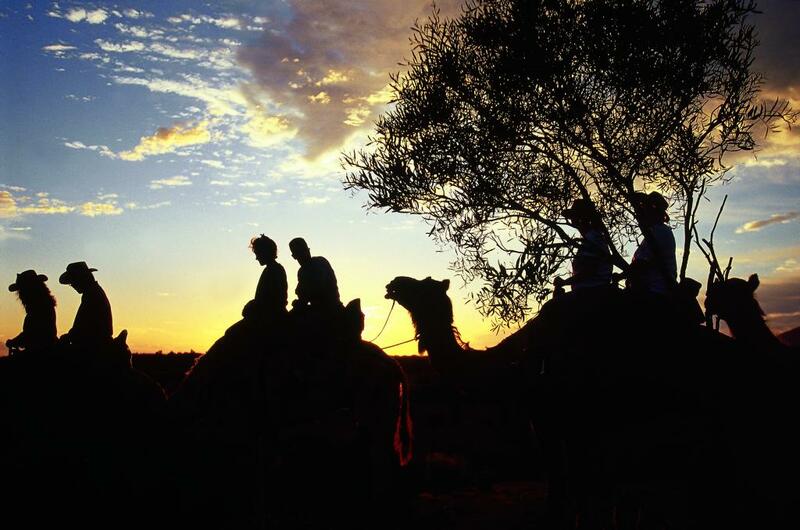 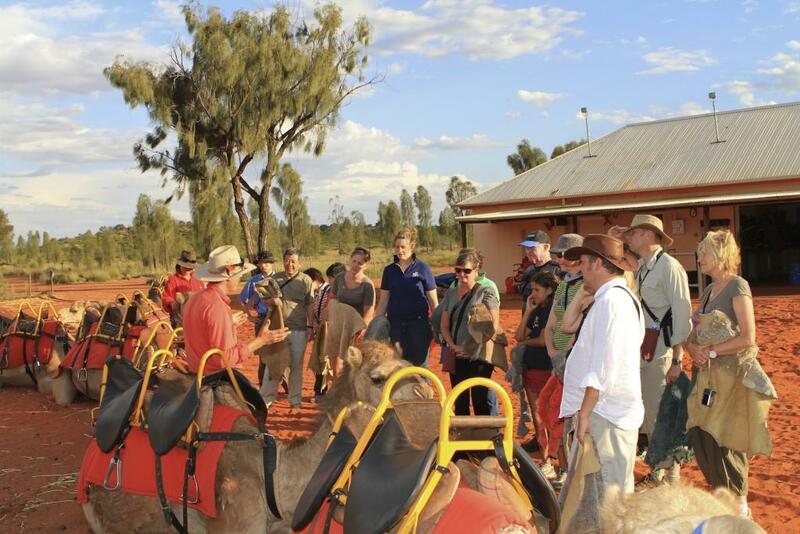 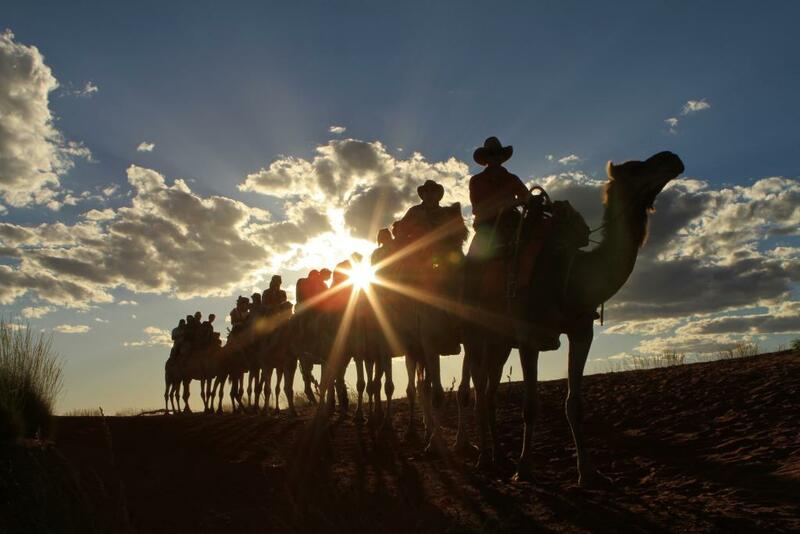 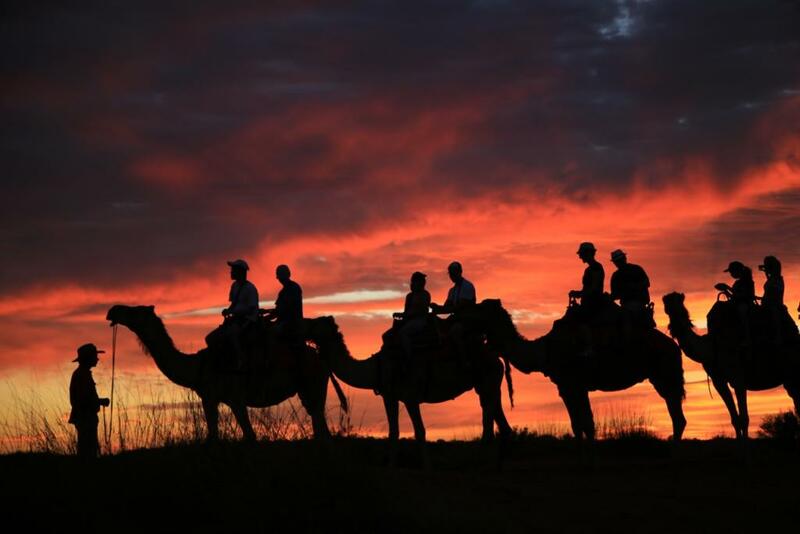 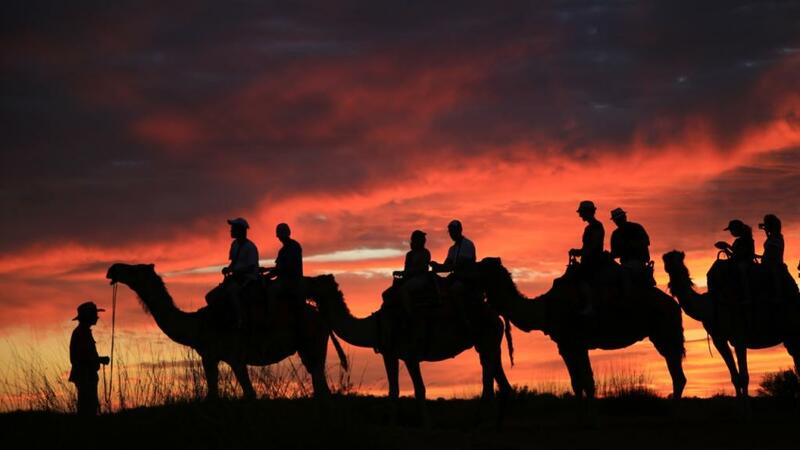 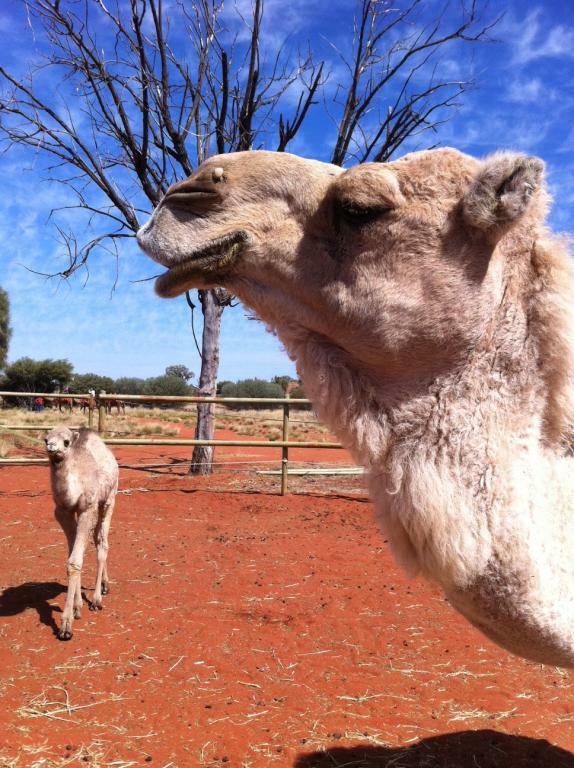 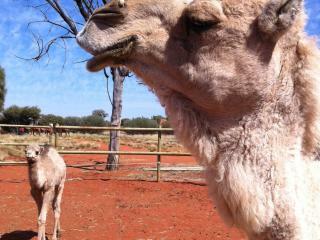 The one hour camel ride returns in time for nibbles and a glass of beer, sparkling wine or soft drink with time to explore the camel display and gift shop.